Produce longer-lasting spray injection pothole patches and road repairs, faster, safer and more economically any time of year. Rosco spray patchers are the most versatile tools for road maintenance on the market today. 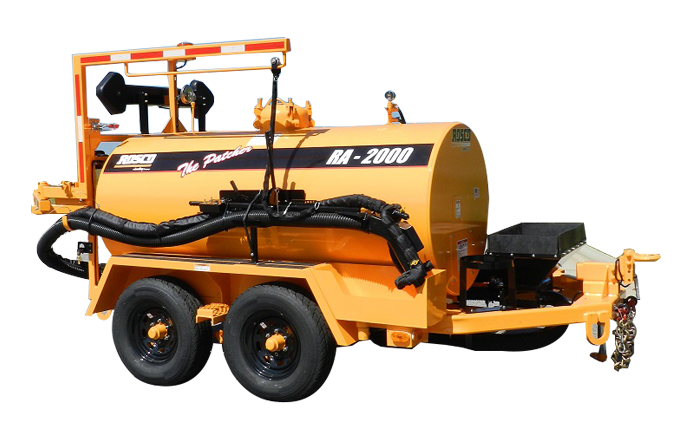 We offer RA-400 truck and RA-2000 trailer-mounted patchers that can do it all...including cleaning the surface to be patched, spraying tack coat onto the surface, combining aggregate and hot asphalt to fill and repair, and finishing the job with a final dust coat of aggregate. Rosco spray patchers make it easy!